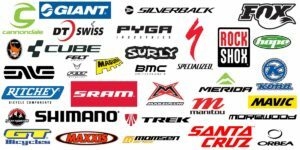 Mountain bike maintenance and bicycle repair guide to keep your MTB in perfect running condition. 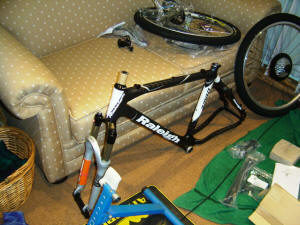 Everyone can servicing their own mountain bike, just start with the basic bike maintenance and servicing tasks. Soon you will have all the mountain bike tools to do a full bike maintenance service. Regular DIY maintenance is cost effective and the best way to get long life out of your bike and components. Regular maintenance includes, bike wash, wiping it down and checking for damage, adjusting the gears, setting the brakes and changing worn components. If you do regular bike services there will be less need to do costly bicycle repairs. Bicycle repairs like changing brake pads, changing a chain or removing cranks are also fairly easy with the right tools and know how. Fixing your own bike is very rewarding and a useful skill especially if you live far from a bike workshop or breakdown on a remote trail or race. Mountain bike maintenance is something that is easy to learn. For hands on experience speak to your LBS – local bike shop and ask them if you can spend a couple of hours in their bike workshop. Some of them also offer mountain bike maintenance courses. You can also checkout bicycle repair books available like Zinn and the Art of Mountain Bike Maintenance or google how to youtube videos. Maintaining your bike in good working order is as easy as 1-2-3. Follow these easy steps to keep you bike well maintained and avoid breakdowns. Run chain through dry clean cloth. Wipe old lube off chainrings. Re-lube chain. Washing a mountain bike can be quick and easy if you have a plan and the right tools. In 5-10 min you can give you bike a wash that will make it look like new. The full bike wash takes longer and necessary after a couple of weeks or when you feel like bonding with your bike. Maintaining your own bike is not nearly as complicated as it seems. A good way to learn is to start slowly, gain confidence and build up a set of bike tools as you progress. If your bike needs a service, rather spend the money buying a couple of tools and then do it yourself. Adjusting and setting your mountain bike gears is really quite simple. There are a few basic rules to follow in order to understand the difference between setup and adjustment. The difference is that the setup items are done only once and never again unless the part is removed or replaced. Roughly every 1000 – 2000km, or when chain is worn.